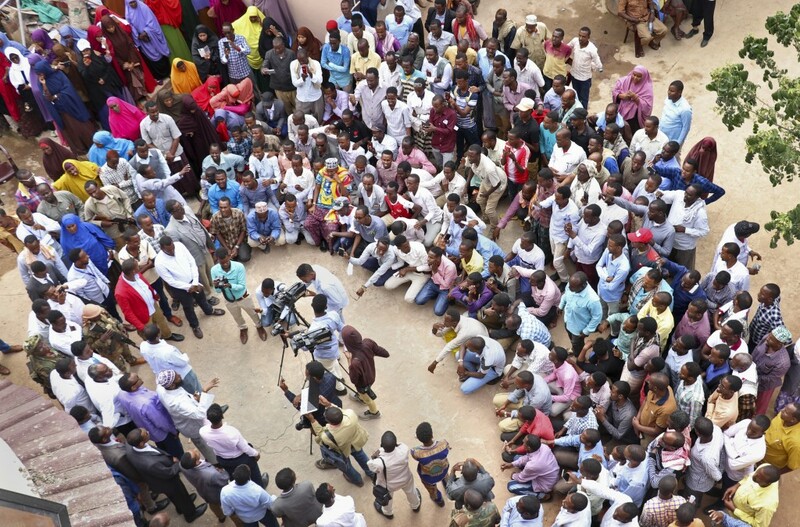 NAIROBI, Kenya (AP) — The normal-looking campaign rally in Somalia's capital this month was anything but. Dozens of people in T-shirts bearing the smiling candidate's image and "Security and Justice" were praising the former No. 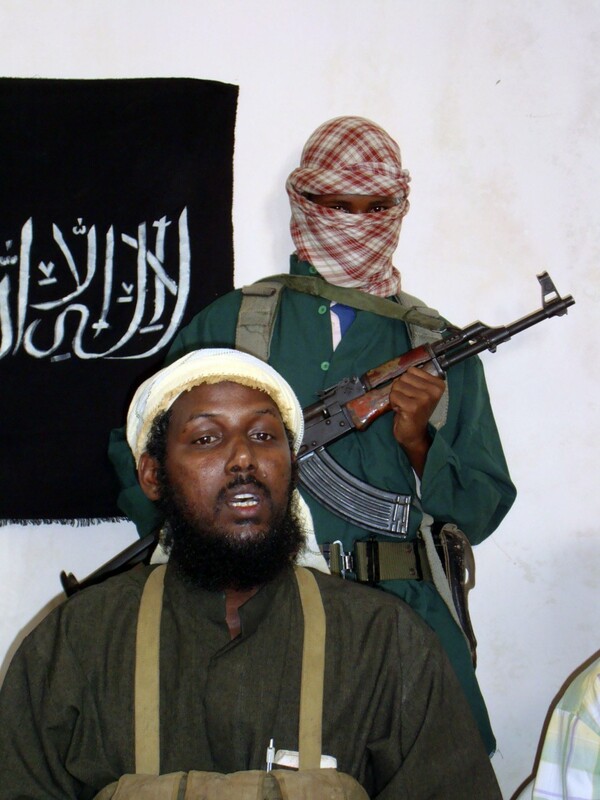 2 leader of Africa's deadliest Islamic extremist group, the al-Qaida-linked al-Shabab, who until recently was the target of a $5 million U.S. reward. Stunned, Somalia's federal government is in an awkward spot. If Mukhtar Robow's campaign for a regional presidency goes forward, observers say the man who once praised Osama bin Laden and tried to impose an Islamic state has a good chance at winning next month's election. Ever since surprising Somalis by defecting to a delighted government last year, the former al-Shabab spokesman and founding father has not been shy. Robow openly discussed his break with hardliners that led him to quit the extremist group — "I disagreed with their creed, which does not serve Islamic religion," he said — and the threats that pushed him to defect after years of living in the safety of his clan. Then he donated blood in a show of support after Somalia's deadliest attack, the October 2017 truck bombing in Mogadishu that killed over 500 people. 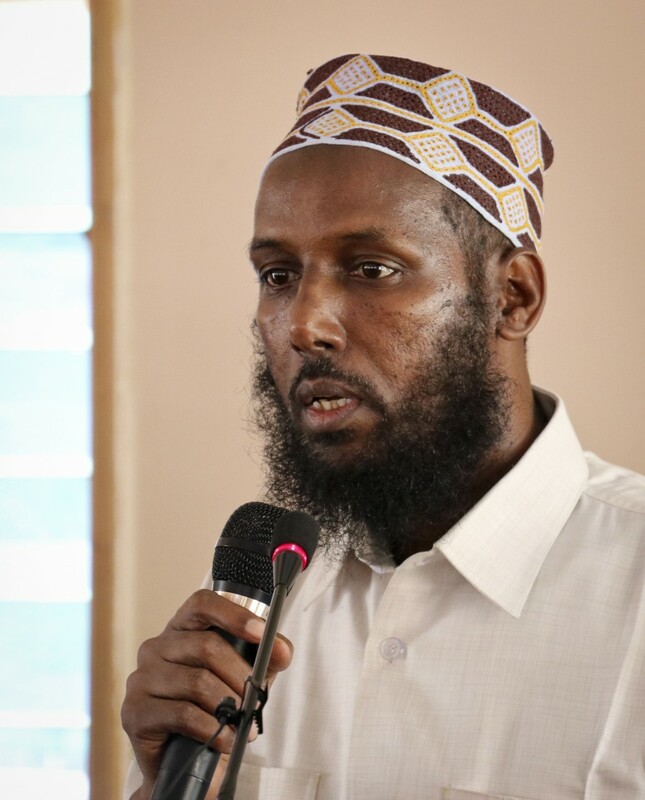 Now the lanky, bearded Robow, al-Shabab's highest-profile defector, seeks to lead his native Southwest region despite a sharp "no" from the federal government. The interior ministry says he's ineligible to run because he remains under international sanctions. The problem, observers say, is that Somalia's federal government is in such a state that no one knows who has the authority to decide who can be a candidate. The presidency did not respond to questions. The United Nations mission in Somalia, which provides electoral support, would not comment. "Who has the last call on who runs? Nobody knows," Hussein Sheikh-Ali, a former national security adviser who has known Robow for years, told The Associated Press. On top of that, relations between Somalia's federal government and its regional ones are so bad that cooperation is almost severed, victim of the wary politics in the Horn of Africa nation recovering from decades of warlord-led fighting and devastating al-Shabab attacks. Over the weekend, Southwest residents and some members of parliament protested what they called the federal government's meddling in the vote. While Robow told the AP he couldn't comment, there's no sign of him backing out of the race, even as al-Shabab calls him an apostate. When the group this month bombed Baidoa, the Southwest's interim capital, he quickly appeared at a local hospital to visit victims and condemn the attacks. "That has contributed to change his people's perception toward him, so they owe him a bit," regional lawmaker Ahmed Nur Adam told the AP. "He's already changed himself for the better, so forget his past identity," said Ali Ahmed Isaq, a local traditional elder. "So, just like other politicians with a dreadful past such as warlords who are now politicians, nothing can deny him any leadership role." Worried about Robow's popularity, the federal government has sent at least one high-level official to try to persuade him to step aside. "I was asked to relinquish my candidacy but I'm telling you that ... I will be running for president," Robow told supporters this month. "With the help of God, we will win and peace will win." 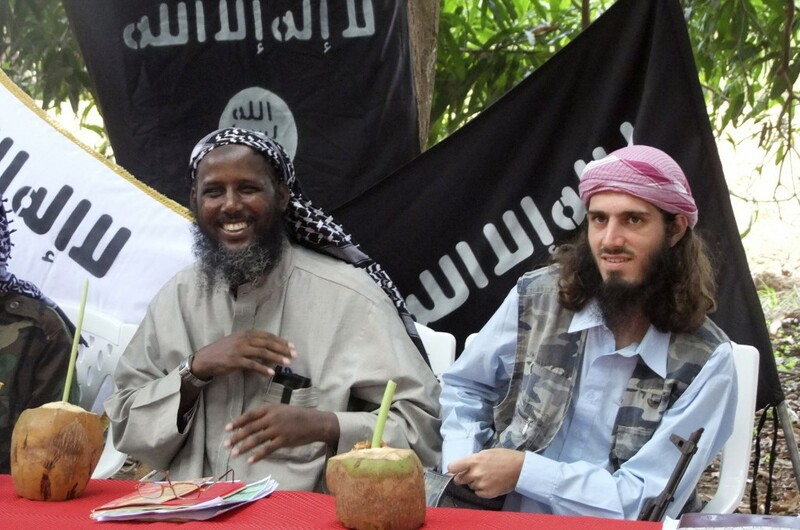 "I guess you could say it is a positive story to see a former high-ranking al-Shabab official participating in a system he spent many years trying to destroy," Omar Mahmood, a researcher with the Institute for Security Studies, told the AP. "But there is also the other side of it, the lack of having to answer for his time as a jihadist." Some Somalis, haunted by memories of Robow praising al-Shabab attacks and the executions of government supporters, said he should be held accountable for the beheadings and other killings under his command. Others are alarmed that he would severely curtail women's rights and other social freedoms if elected. "He may do a better job in terms of security, but I think it's too early for him to consider such a high-level position before adopting some more moderate and nonviolent views," said a Somali intelligence official who requested anonymity because he was not authorized to speak to the media. "We shall reopen roads on which women are raped and people are harassed," he said during a speech in Baidoa last week. "Notwithstanding my previous views, I owe you a lot for this huge welcome," he added, to applause. The election drama is a major test of Somalia's U.S.-backed efforts to encourage fighters to leave al-Shabab in the belief that every defection exposes weakness in the extremist group, which still controls large parts of the rural south and central regions, including the Southwest. "It doesn't help that Somali law and institutions are still very much evolving and the amnesty program for ex-al-Shabab members is a bit unclear," Mahmood said. Some low- and mid-level defectors go to rehabilitation centers while others end up on trial. Robow has received other arrangements, including security. Questions remain about his defection, which occurred soon after the U.S. quietly cancelled the $5 million offer under its "Rewards for Justice" program. That led al-Shabab to believe Robow had made a deal with the Americans, Sheikh-Ali said. The U.S. mission to Somalia did not respond to questions. However, Robow is still under U.S. sanctions imposed in 2008 when he was named a "specially designated global terrorist." He has never gone completely through Somalia's defection process, which would include the federal government negotiating with international bodies to clear him from sanctions, Sheikh-Ali said. "Unfortunately, he was thinking everything was fine and that's when he decided to run," he said. Startled, international bodies pressured Somalia and "the government woke up and said, 'You cannot run.'" There likely isn't time for Robow to be cleared before the Nov. 17 election, Sheikh-Ali said. 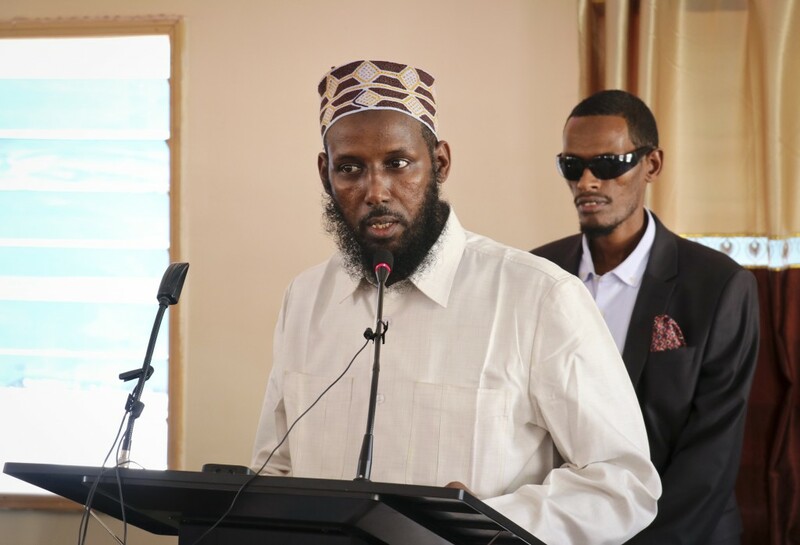 "The Robow case is really jeopardizing any chance of another al-Shabab leader to consider defecting to the government side," said Sheikh-Ali, who advocates dialogue with the extremist group. "Somalia needs peace."